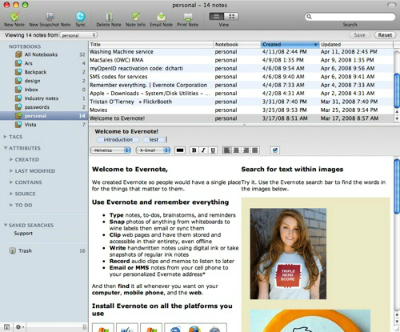 Evernote Business is described as “the external brain for your company”–this is frankly rather handy as Evernote itself was often described as “your external brain”–and looks to provide a way for business users to keep better track of all the various bits, pieces and details that go into a business’ operation. Much like with Evernote itself, Evernote Business is expected to allow users to note only take notes and make to-do lists, but also store photos taken from mobile devices, record audio, clip webpages and more, across several different platforms, including PC, Mac, mobile devices and the Web itself, meaning that, by the time Evernote Business is all said and done, it will be about as device-agnostic as most anything created in HTML5. 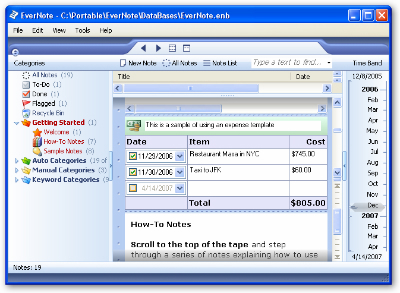 The web service even offers extra features that may make it to all versions of Evernote Business, including image recognition on incoming notes that allows any handwritten notes to be searchable within the system itself. Evernote was built with four key aspects in mind: getting users used to the system rapidly, making sure that data input into the system belongs only to the customer unless specifically made public, offering the ability to publish content to a company-wide directory for improved collaboration, and offering a dedicated “Customer Success Manager” to help answer any questions that come up while using the system. While Evernote itself is really rather easy to use–CEO Phil Libin has done at least one video in which he describes how he got started making software he would use, then later, software his company would use, then finally, software other companies would use too–it isn’t exactly clear just how much of Evernote will translate into Evernote Business. It’s a fair bet that much of it will, of course, but it’s worth considering beforehand. Those who have used Evernote in the past and want a say in how Evernote Business shapes up should take note as they’re starting to look for beta testers who will be involved until December, when the product is expected to go to general availability, at a rate of $10 a month. Keeping track of all the important data in a business’ operations is important, but it’s not the only thing that keeps a business running. Cloud-based telephony is also a huge help, making it much easier for customers to contact the business, or the other way around, thanks to things like local number service and digital fax receiving. Evernote may well be a big part of some users’ lives, and Evernote Business is likely going to have that same kind of impact, just on the corporate level. This entry was posted in Android Apps, iPad Apps, Small Business, Virtual Office by Steve. Bookmark the permalink.